2017 was a horrible year for Singapore’s government — and for Prime Minister Lee Hsien Loong in particular, which began with an open and vocal stoush with China. Singapore’s Keppel Corp Ltd said the impact of a mammoth fine borne by its offshore unit will be a ‘one-off’ in this year’s earnings and will not impact dividends, as analysts predicted a share-price slump when markets reopen on Tuesday (Dec 26). WITH the festive period under way, Singapore’s tourism industry looks poised to finish the year strong, bolstered by growing arrivals from China. After several stop-start attempts, 2018 looks set to be year when Singapore takes a giant stride towards becoming a cashless society, with major nationwide initiatives in the pipeline next year. How much environmental damage does Christmas cause? Food wastage and increased burning of fossil fuels – these are some of the hidden costs of Christmas Singaporeans do not see as they celebrate. Can more be done to reduce the carbon footprint amid all the festivities and celebrations? THE Goods and Services Tax (GST) is likely to be raised by two percentage points in Budget 2018 as Singapore’s spending needs continue to grow, according to Development Bank of Singapore (DBS) senior economist Irvin Seah. A non-governmental organisation (NGO) helping migrant workers has said a study published last month, which found six in 10 foreign domestic helpers here to have been exploited, was published without its consent. More Singaporeans are making use of the two long festive weekends to take an extended holiday overseas compared with last year, say travel industry players. From Phase 3 of the Downtown Line to the Tuas West Extension, new sections of rail lines opened this year to bring more convenience to commuters. But 2017 may be remembered by Singaporeans for two major rail incidents instead. A Jetstar plane bound for Australia was delayed in Singapore and police were called in after three passengers were involved in a heated argument over a phone. SHOPPERS bustling in and out of stores with bags in hand, diners enjoying a meal in the restuarants, comfortable chatter in the air. These are some of the daily sights at Marina Bay Sands. Singapore Airlines (SIA)launched a beta chatbot, as it expands digital servicing channels for customers. The bot, named ‘Kris’, will initially be available on the SIA global Facebook page, and will later be made available on singaporeair.com. It is eight in the morning on Sunday and cabby Simon Ng has just ended his graveyard shift. He is not heading for Woodlands where he stays for a much needed rest. 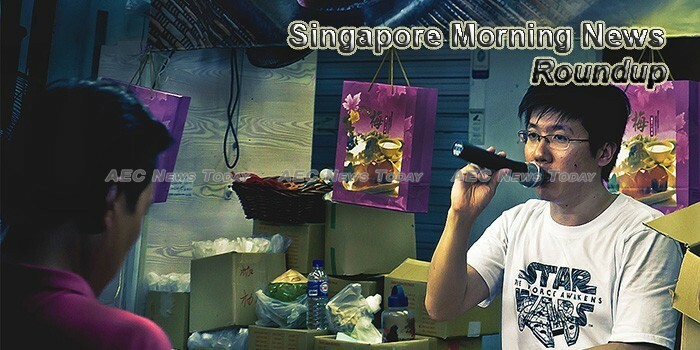 Instead, the 57-year-old is making his way to Willing Hearts’ soup kitchen in Eunos.